Everyone who moves into a new apartment needs appropriate places to put trash and recyclables before discarding them permanently down the hallway or outside the building. The types and location of receptacles you need for your apartment depends on its size and layout, as well as your habits. Bedrooms, bathrooms, home offices, kitchens, and nurseries need them. The trash receptacles you include in bedrooms, bathrooms, and a home office (if you have one), however, needn't be much more than a wastepaper basket. Also, many people don't bother using garbage bags or liners for these rooms, since the usual trash for these rooms are paper goods or other types of non-messy, non-spillable trash. As such, it's easy enough to dump the garbage from these receptacles directly into a larger bag later for permanent disposal. Hallways, entryways, closets, formal living rooms, formal dining rooms don't need them. Trash receptacles normally aren't found in hallways, entryways and the like because they block quick passage, can easily get kicked around, and just aren't needed. Closets, with their limited space, are meant for storage, not garbage. If your apartment is large enough to have a formal living room and/or dining room, you should skip the trash cans there. If either you or guests have items to discard while in the living room or dining room, it's customary just to use the kitchen trash receptacle. Kitchens need special attention. The dirtiest, smelliest, messiest garbage will no doubt be the kitchen garbage since it's where you'll throw away unused food. Make sure you get a garbage can that's either hidden in cabinetry (accessible by opening a low drawer) or a stand-alone model that has a cover. The kitchen is probably the best place for recycling bins. 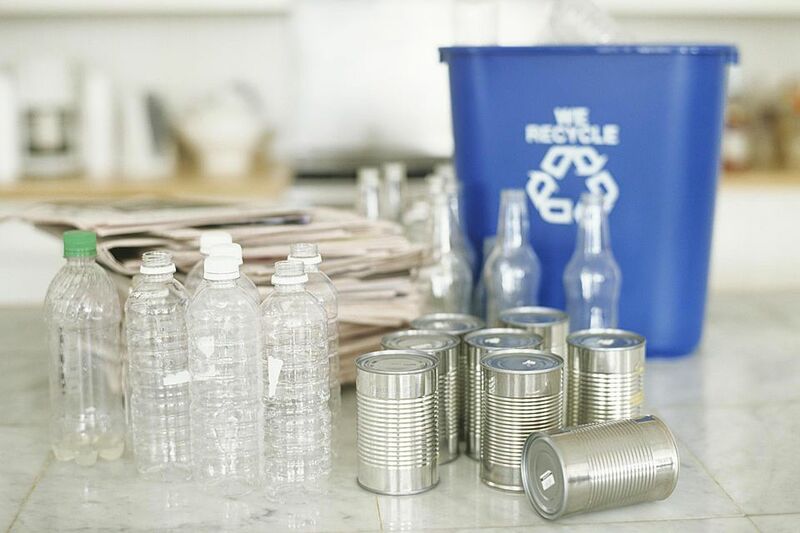 If you participate in recycling, the kitchen is probably the most sensible place to store your recycling bins, preferably alongside your kitchen's trash receptacle. Nurseries need a diaper disposal system. Most of the garbage in a nursery comes from changing a baby or toddler—namely, dirty diapers and wipes. There are several diaper disposal systems on the market that help you throw away such items with minimal fuss while containing or minimizing the smell. If you choose not to use such a system, you should consider buying kitchen-type garbage bags that come scented and a trash receptacle that's covered (as is recommended for your kitchen). If you do use a diaper disposal system, you may or may not have the need for a small additional basket in the room. In addition to your trash receptacles, you should buy a box of large (30-gallon) garbage bags. These will come in handy when it's time to collect trash from your apartments' various receptacles (other than the one in the kitchen, which should already be contained in a bag that you can discard) to bring down the hall or outside. Store these bags on a pantry shelf or under the kitchen sink for easy access.